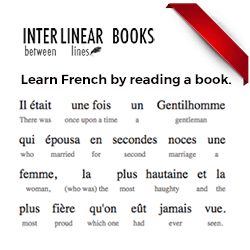 French phrases and vocabulary, with free audio! Once you think you've mastered these basic French phrases, try the audio flashcards or exercises to test your memory. Return to the French I Tutorial or head to the French Listening page for more French (and mp3s)! You're welcome. (formal) (also Go ahead/After you) Je vous en prie. Excuse me! (pushing through a crowd) / Sorry! (stepped on someone's foot) Pardon ! How are you? (formal) Comment allez-vous ? How are you? (informal) Ça va ? I'm fine (in response to Ça va ?) Ça va.
What's your name? (formal) Comment vous appelez-vous ? What's your name? (informal) Tu t'appelles comment ? Where are you from? (formal) Vous êtes d'où ? Where are you from? (informal) Tu es d'où ? Where do you live? (formal) Où habitez-vous ? Where do you live? (informal) Tu habites où ? How old are you? (formal) Quel âge avez-vous ? How old are you? (informal) Tu as quel âge ? I am ____ years old. J'ai ____ ans. Do you speak French? (formal) Parlez-vous français ? Do you speak English? (informal) Tu parles anglais ? I don't speak Spanish. Je ne parle pas espagnol. Do you understand? (formal) Comprenez-vous? Do you understand? (informal) Tu comprends? Can you help me? (formal) Pouvez-vous m'aider ? Can you help me? (informal) Tu peux m'aider ? I beg your pardon? / I'm sorry? Comment? Where is... ? Où est ... ? Where are... ? Où sont ... ? How do you say ________ in French? Comment dit-on _____ en français ? What is that? Qu'est-ce que c'est que ça ? What's the matter? Qu'est-ce qu'il y a ? It doesn't matter. Ça ne fait rien. What's happening? Qu'est-ce qui se passe ? I have no idea Je n'ai aucune idée. It's all the same to me. Ça m'est égal. I don't care. (informal) Je m'en fiche. Don't worry! (formal) Ne vous en faites pas. Don't worry! (informal) Ne t'en fais pas. It's alright. Ce n'est pas grave. I have to go. Je dois y aller. Bless you! (formal; when someone sneezes) A vos souhaits ! Bless you! (informal; when someone sneezes) A tes souhaits ! It's your turn! (formal) C'est à vous ! It's your turn! (informal) C'est à toi ! Be quiet! (formal) Taisez-vous ! Be quiet! (informal) Tais-toi ! What's new? Quoi de neuf ? If a phrase or question is formal, you should use it with people you do not know, people who are older, and those to whom you want to show respect. In addition, the formal you is also used as the plural you. If a phrase or question is informal, you should use it with family members, close friends, and children.